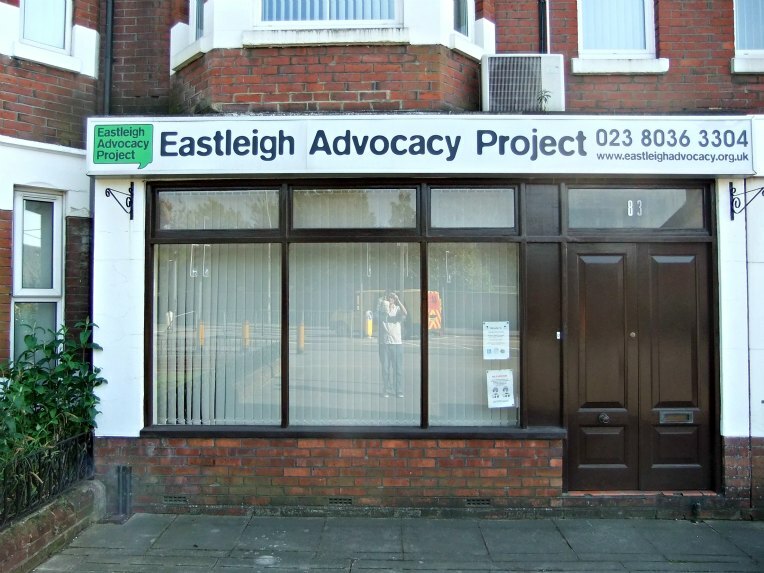 Having been a focus for learning disabled adults – and a place where they have gone for regular support in literacy, numeracy and independent living skills – the Eastleigh Advocacy Centre on Leigh Road is due to shut it’s doors this summer, due to lack of funding. The organisation was started with the help of One Community some 20 years ago and has worked tirelessly ever since to improve the lives of the towns learning disabled residents. Ironically the membership has been steadily growing in recent years, and has just set up a pen pal system for their members with a similar self advocacy group in Massachusetts USA. The group are currently suffering difficult times, as well as the loss of their centre, they sadly lost founding member and supporter Liz Niziolek who passed away on 9th May. The group have vowed to try and continue running a service by renting rooms for their meetings and activities. If you are interested offering a free or affordable space, or to volunteer as a helper, please email me at stuartjebbitt@hotmail.com and I will pass your details onto them. Alongside the loss of the advocacy centre, it has also been confirmed that the Bishopstoke day services centre, another lifeline of support for learning disabled adults, is due to close this August. The site, at the end of Breach Lane, will be bulldozed to make way for more retirement homes. Some staff will be retained in order to try and continue to run a service on an outreach basis, again renting spaces, rather than having a proper building to work from. This all means a huge amount of upheaval, uncertainty and a great sense of loss for learning disabled adults from all over the borough. The principle funding for these projects is from Hampshire Social Services – these are effectively CUTS being ‘reframed’ as a change of service i.e. getting rid of the centres and working in the community. Come on Eastleigh, we can not allow this to happen. This is a group of OUR towns most venerable members and WE as a community should not let this front line service close. Please, lets find a way to save this amazing service that provides help, support and in some cases, the only contact these people have with the outside world. Another example of cuts at county level, impacting on the most vulnerable residents. EBC could do something good here, at least as far as the advocacy project is concerned, by finding them a new home. Perhaps an empty shop or maybe use of a room at the point? or use of the youth centre during the day when the youth club isn’t running? After all EBC are always proudly telling us that they are protecting local services from Hampshire cuts. To clarify the issue of funding, these projects are mainly funded from Hampshire Social Services. These are CUTS being ‘reframed’ as a change of service i.e. getting rid of the centres and working out the community. It seems Stuart has been a bit of a BAD BOY!! Didn’t give Eastleigh Advocacy a chance to proof read the article, before posting it live. be without a building to make ends meet – It’s the blatant injustice of it! I hope Hants or EBC will help by finding them an affordable space to work from, even if it’s just to tie them over until they know about funding. The article wasn’t written at the request of EAP (so wasn’t for them to proof read) – I spoke to several service users and support workers who work in Eastleigh. I only asked EAP a couple of questions – i.e. how long have they been running, who started the group…etc.